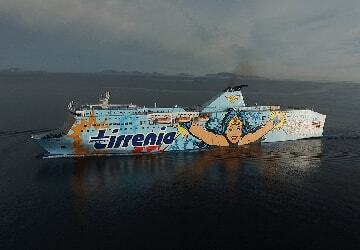 The Olbia Civitavecchia ferry route connects Sardinia with Rome and is currently operated by 2 ferry companies. 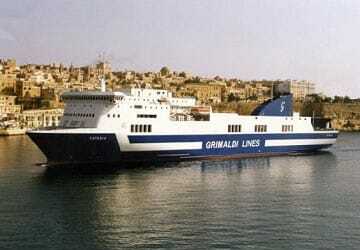 The Grimaldi Lines service runs up to 7 times per week with a sailing duration of around 6 hours 30 minutes while the Tirrenia service runs up to 3 times per day with a duration from 5 hr 30 min. 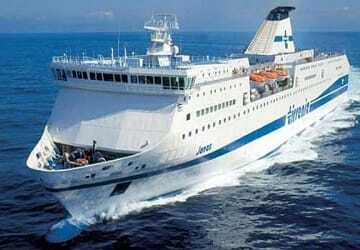 So that’s a combined 28 sailings on offer per week on the Olbia Civitavecchia route between Sardinia and Rome. Compare now and get the best fare at the time that you want to travel. Prices shown represent the average one way price paid by our customers. The most common booking on the Olbia Civitavecchia route is a car and 2 passengers. our ferry trip was a great way to travel from Sardinia to Rome. It was punctual, clean and there was plenty to explore. The staff were polite and helpful. The food was good. "We're enjoyed our trip with Grimaldi Lines!" We decided to book a cabin for our trip so that our two children could sleep for part of the journey. Our cabin was very comfortable and clean and our children did sleep. We feel the extra cost was well spent in our case. However, the rest of the ship was also very clean and comfortable with pleasant lounges and cafe. Also possible to spend time on deck. Nothing special. I have been on better ships, crazy prices at the restaurant. "Get back the car, a nightmare"
We do this trip every year. Every year the same problem: If you arrived first you leave for last. This time in reverse and with an unberable temperature in the garage. Next time we will arrive at the last moment.. We were looking for a table with a close plug where to work with the laptop during the crossing, and the receptionist gave us a really good advice and we would like to thank her. The Italian city of Olbia is located in the Gallura sub region of north east of Sardinia. The town is now known as a stop on the journey to and from Sardinia, however it has a long history and retains enough of its own charm to justify it as a destination in itself. The historic town centre is a lovely place to take a stroll or to sit in a bar or restaurant and watch the world go by. Popular visitor attractions in the town include the medieval Pisan-Romanesque church which is built out of Galluran granite. Two 13th century frescos can be found in the church. One depicts San Simplicio, the patrol saint of Olbia. Another popular attraction in the town is the Festa di San Simplicio which is Olbia's largest festival and is celebrated for three days every May. The town isn't very expensive and is definitely a great place to spend a day or two. Aside from attractions in the town itself, there are some lovely beaches nearby or alternatively Olbia is a great place from which to take boat trips. Olbia's port is on an island linked to the town by a long causeway. 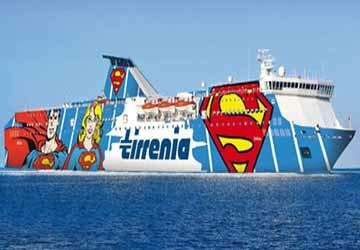 Car ferries connect Olbia with mainland Italian destinations including Genoa and Civitavecchia, near Rome. ASPO bus number 9 connects the port with the town. Additional destinations are available from Golfo Aranci, a port to the north of Olbia.